The Lincoln Stars (50 points, fifth place in the USHL Western Conference) will face off against two familiar western conference foes this weekend, as the black and blue battle the Sioux Falls Stampede at the IceBox on Friday night, and then the Sioux City Musketeers at the Tyson Events Center in Sioux City, Iowa on Saturday evening. Puck drops at 7:05pm CST in Lincoln on Friday night, and at 7:00pm CST in Sioux City on Saturday evening. Lincoln is seven points behind fourth place Sioux Falls (57 points), and five points ahead of seventh place Sioux City in the western conference standings. If you can't make to any of the games this weekend, click here to listen to Stars radio announcer Mike Melbye call the games on AM 1480 KLMS. If you have money to burn, you can also watch the games via B2 Network by clicking here. If you want to follow the Pointstreak boxscore, click here. 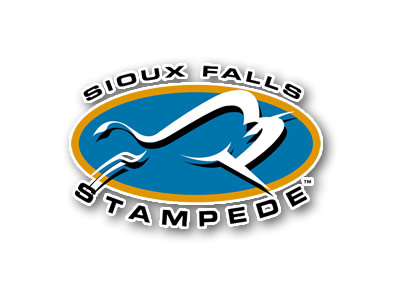 First up for the Stars this weekend will be the Sioux Falls Stampede (57 points, fourth place in the USHL Western Conference). This will be the third time in the last six days the Stars and Stampede will face each other. Friday night's matchup will also be the eighth, and last time these two teams will battle each other in the regular season. In their seven previous encounters this season, the Stars hold a 5-2-0 record against the Stampede. After being blown out by the Stampede in Sioux Falls this past Sunday by a score of 6-2, the Stars rebounded with a big 3-1 road victory against the Stampede this past Wednesday evening. 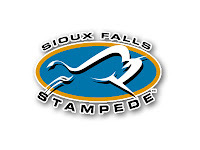 As I stated above, the Stampede are only 7 points ahead of Lincoln in the standings, so this is yet another great opportunity for the Stars to gain some ground on Sioux Falls. Lincoln will get on the bus and head north on Saturday to take on the Sioux City Musketeers (20-21-5, 45 points, seventh place in the USHL Western Conference). This will be the sixth time the Stars and Muskies have met this season, with Lincoln holding a 4-1-0 record in their five previous matchups. The last time the Stars knocked heads with the Muskies, it was 1/21/11 at the IceBox, and Lincoln scored six goals in the third period to cruise to the 8-4 victory. It was a scoring bonanza like I've never seen at the IceBox. The Muskies will be looking for a little revenge Saturday night, and it will be a good opportunity for them to inch closer to a playoff spot in the western conference. The Stars have won four in a row at home, so lets hope that streak continues against Sioux Falls on Friday night and Lincoln can get off to a good start to the weekend. On the injury front, Stars trainer Corey Courtney mentioned on the radio this past Wednesday that forward Brent Tate has an injured elbow, and was going to undergo a MRI to determine the severity of the injury. Tate is a huge part of this team, so I really hope the MRI comes back with some good news and his injured elbow heals quickly. Sorry for the short preview article. It's been a crazy week, and I just ran out of time tonight. Hope to see another full house at the IceBox Friday night! Be loud and proud! Edit: I forgot to mention that the Nebraska high school girls basketball tournament is being held in Lincoln this weekend, and there is a Class B game starting at 7:00pm at the Devaney Center on Friday night. Plan accordingly! I'd leave home earlier than you normally would since you'll have to battle all the folks from outside of Lincoln who don't know there way around our city and can't drive for crap anyway. Petey made the VPOTW...funny how that was just recently a topic.